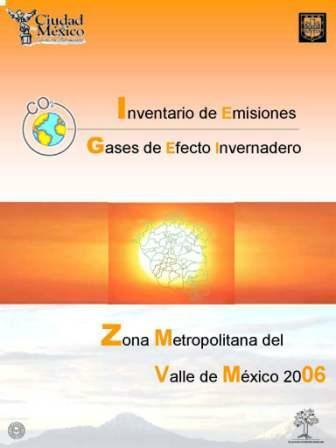 Earlier this year the City of Mexico released an inventory of greenhouse gas (GHG) emissions in 2006 in the Metropolitan Area of the Valley of Mexico (Zona Metropolitana del Valle de México – ZMVM) to accompany its new plan of action on climate change (something I’ll cover separately in a forthcoming blog entry). I found the inventory’s findings interesting — thought you might too. 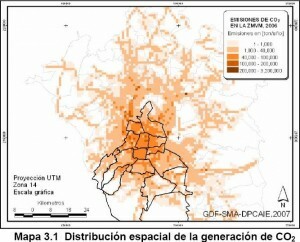 I’m adding it to the Temas listing of GHG inventories in Latin America and the Caribbean (LAC). The inventory found that in 2006 energy consumption [petrol, diesel, natural gas and liquefied petroleum gas (LPG)], decomposing trash in landfills and forest fires contributed 37,760,782 metric tons (mT) of CO2, 250,900 mT of methane (CH4) and 1,419 mT of N2O. 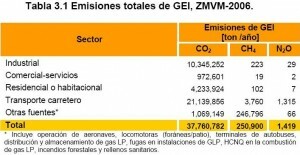 Overall, emissions of the three greenhouse gases added 43.4 million mT of CO2 equivalent (CO2e), 87% of it CO2, 12% by CH4 and 1% by N2O. 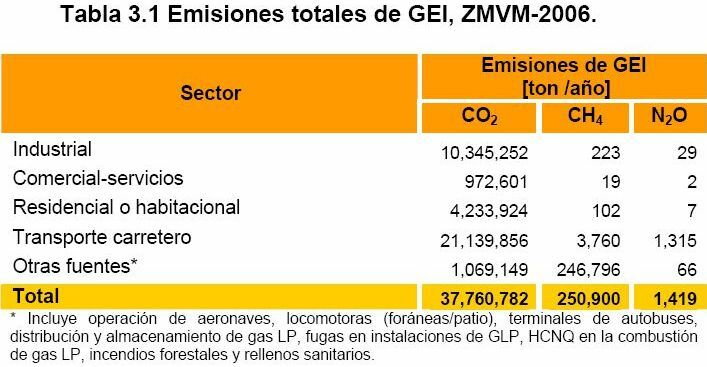 The largest GHG emitter in ZMVM is the road transport sector with 49.8% of the total, second place is held by the industrial sector with 23.8%, residential combustion contributes 19.8%, and business/services 2.2 %. 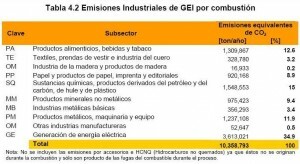 Looking closer at the CO2 emissions from the industrial sector (a likely target for government programs to reduce GHG emissions), 34.9% come from electricity generation, 12.6% from the food, drink and tobacco sector, 11.9% from the metal products and machinery sector, 9.4% from non-metallic mineral products, and 8.9% from the paper, paper products printed materials sector. 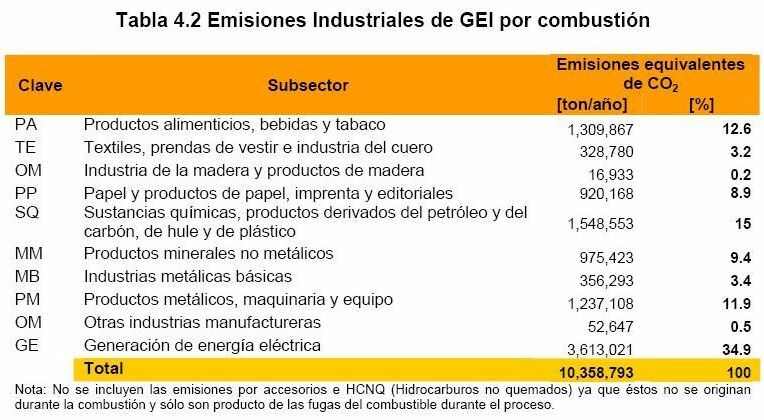 The major contributors to total GHG emissions by type, private cars generate 24%, followed by landfills with 13.4%, residential combustion 9.7%, and electric power generation with 8.2%. It’s hard to escape the conclusion, says the inventory report, that GHG generation in the ZMVM has a direct relationship with the consumption of energy from the burning of fossil fuels, and that In order to reduce GHG emissions, the ZMVM must reduce consumption of petrol and diesel, and to a lesser extent, natural gas and LPG. 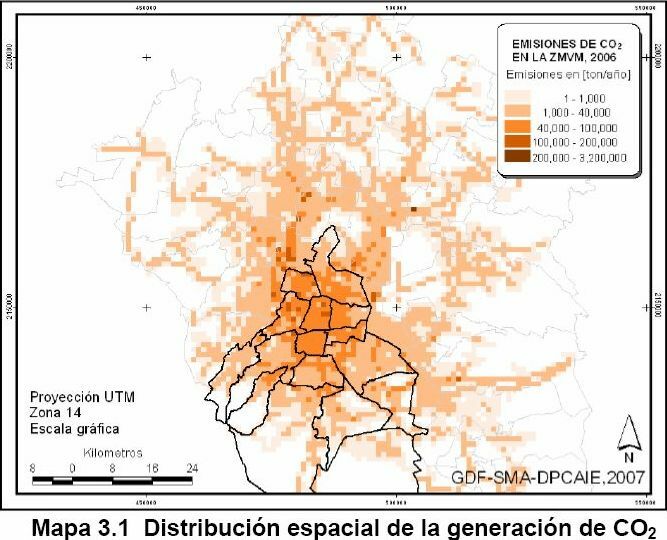 expansion of the public mass transit system and infrastructure in ways that allow the greater use of non-motorized transport (such as bicycles).